Blast Online Combines enables athletes to post videos and results of themselves being tested or measured across a wide range of categories. This provides accurate results to anyone nationwide who might want to evaluate you. Then, compare yourself to other athletes who have filmed and posted their results. Use the filters to compare yourself to your direct competition and watch their videos. Using a smartphone, have someone film you getting tested or measured. The most effective filming will allows the viewer of the video to calculate the results on their own, to verify the accuracy. Log into BlastAthletics.com or open your Blast Athletics App. From your Dashboard, click + New Video Vital. Select the what you are measuring or testing, enter the results and upload the video. It’s that simple. Once you have posted your results, go to your showcase to see where you rank compared to everyone on Blast. Use the Filters to compare by Verified, sport, graduation year and more. Blast makes it easy for anyone to create, organize, and run your combine, complete with posting videos and results live and a sortable Leaderboard. Your company will be on the Recruiting Showcase of each athlete you test, promoting your brand. Combines are not just football, they are all sports. We consider a combine any event where athletes are tested or measured. If we don’t have the category you want, contact us and we will add it immediately. Blast is offering phone support and online training for companies who want to use our platform to organize your combines and post your results. Contact media@blastathletics.com for more info. To create a combine on Blast, you must first create your Training Team Site. Log in or register, and when prompted pick CLUB as your level, then Create New Team. Select Training and follow the steps. 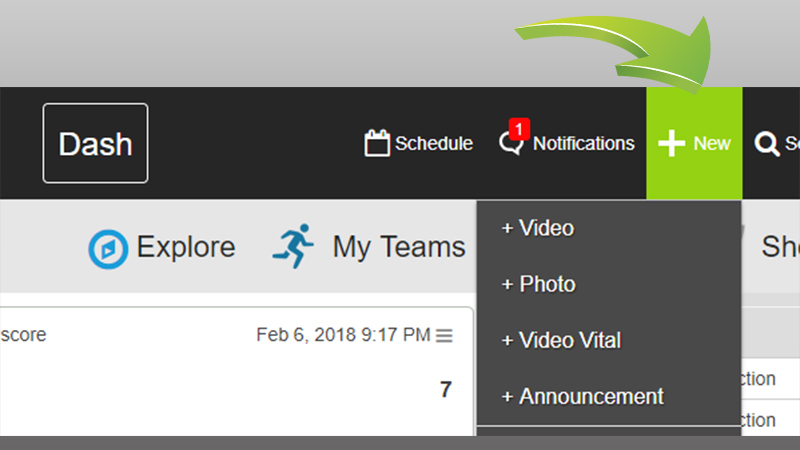 Once your team is created, Admin on the team page, and +New Combine. Quick and simple. Copyright © 2014-2019 Blast Athletics LLC. All rights reserved.